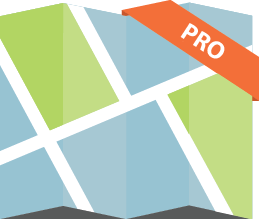 Integrate the power of the ArcGIS platform into your WordPress site with the Web Maps for WordPress Pro (plugin). Powered by ArcGIS Online, this plugin is designed to bridge the gap between authoritative GIS content registered with ArcGIS Online and WordPress (the most widely used CMS on the market). Through various points of integration, the plugin provides WordPress users with a seamless way to integrate their ArcGIS Online content into WordPress sites. The following outlines the features of the plugin. You can also review our product demo or call us for more information: (615) 883-0085. The plugin is designed to interact directly with a single ArcGIS Online organization (primary organization). On the general configuration page for the plugin, you specify the URL for the primary organization that you wish to interact with via the plugin. For example “http://geo-jobe.maps.arcgis.com”. While the plugin is configured to a single ArcGIS Online organization, it honors cross-organization sharing of items via groups that contain items owned by other ArcGIS Online organizations (secondary organizations) and shared with “Everyone (public)”. The specific uses of these capabilities are outlined in the following sections. The content tree widget is designed to provide WordPress users with a means of showcasing items, from the primary organization, on a WordPress page and filtering the items through tree view listings. The content tree widget is comprised of (1) Tree view, (2) Items summary page and (3) Item details page. Options in the tree view are by default driven by the public groups in the primary organization. If the user would like to limit the tree view options, they can use filtering logic in the widget configuration. Filtering can be done by tags, groups, etc. Tree view options will then reflect public groups within the primary organization that meet the filtering criteria. The name of tree view options mirror the name of the corresponding group in the primary organization. The items summary page is a listing of one or more ArcGIS Online items. When a user selects a group from the tree view, the items summary page is refreshed to show all items shared with this group within the primary organization. For each item on the summary page, a subset of the item details are showcased. Note: Items shared with the group, but owned by named users within a secondary organization, are shown on the items summary page. This allows users of the plugin to leverage the power of cross-organization sharing and collaboration while having a single WordPress front-end for showcasing content. In addition to sharing an item with the group, the item also has to be shared with “Everyone (public)” to be visible on the items summary page. This is because all interaction between the plugin and the primary organization is anonymous at this time. When a user clicks on an item within the items summary page, the item details page is displayed. This is very similar to the item details page within ArcGIS Online in that it shows a variety of additional information about the selected item. In addition, there is a “Call to Action” button shown below the thumbnail image that allows the user to interact with the item in a variety of ways based on the item type. This behavior is modeled off the “Open” options within ArcGIS Online. The content slider widget is designed to provide WordPress user with a low-profile way to showcase ArcGIS Online items on a page. The content slider automatically rotates through all items that have been configured to be showcased through the widget. See the following key features for the widget. Filter items showcased through the widget using a variety of filtering logic in the widget configuration. Filtering can be done by tags, groups, etc. The widget automatically rotates through the various Items that meet the widget configuration criteria showcasing one active item at a time. The active item’s thumbnail image along with title is shown by default. Upon user hover, a snippet of the item’s summary is displayed to give users more information about the item. Clicking on the thumbnail image will open the item. Web maps will be opened in the ArcGIS Online map viewer. Web applications will be opened using the registered URL. The Add Map button is designed to provide WordPress users with a more streamlined process for embedding web maps in their pages and posts. While very similar to the Add Media button, Add Map puts millions of interactive maps at the fingertips of bloggers, website creators, media outlets and news organizations. For the first time, millions of WordPress users will be able to seamlessly enhance the information they’re communicating through their website with authoritative maps exposing authoritative content from authoritative sources. The following outlines various features of the Add Map button. Search results will be displayed in a grid view showing the name and image of the map. Watch our product demo and call us for more information: (615) 883-0085.